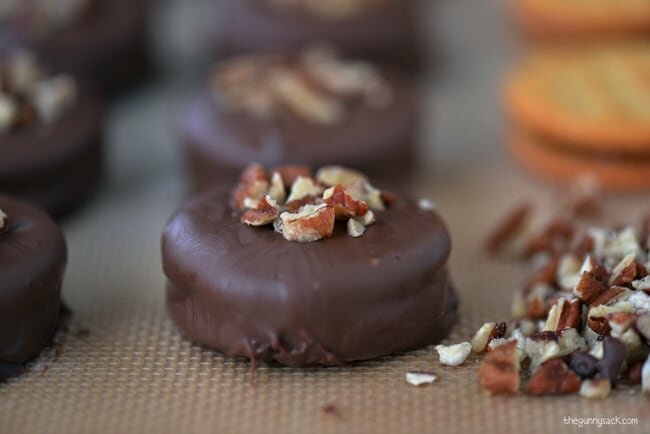 Turtle Cookies are Ritz crackers filled with creamy caramel, coated in chocolate and topped with chopped pecans! 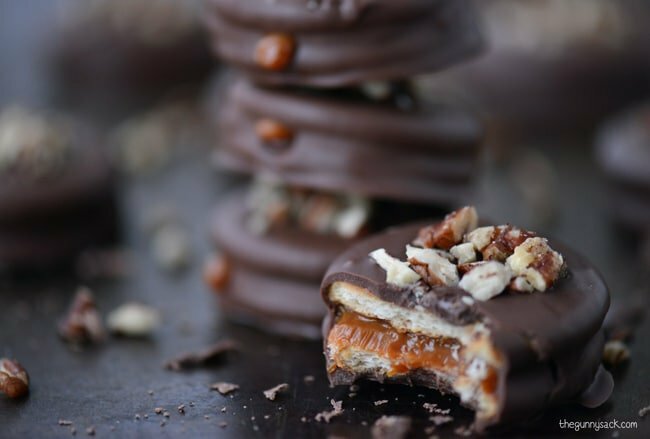 Turtle Ritz Cookies are a caramel spin on the traditional peanut butter Ritz cookies which are one of our family favorites. 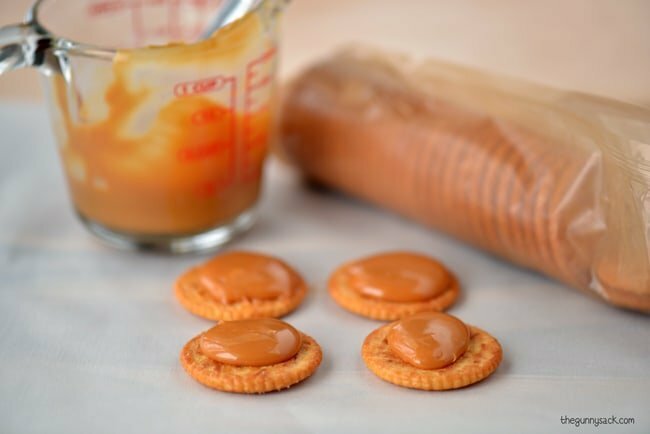 Since we love them so much, I figured there had to be other things that would taste delicious stuffed between two Ritz crackers and decided to try caramel. First I wanted to share the recipe for our favorite peanut butter Ritz cookies. We make them throughout the year but they are a must during the holidays. 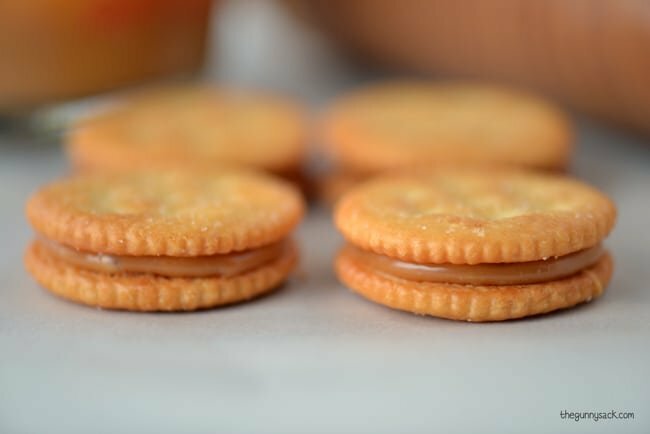 Spread about 1 teaspoon of creamy peanut butter on 10 Ritz crackers. Top with another cracker, sandwiching the peanut butter between the two. Melt the chocolate almond bark in the microwave according to the instructions on the package. Dip the sandwich cookies in the melted chocolate and place on a silicone mat or parchment paper to set and harden. I thought these Turtle Cookies were going to be a quick and easy recipe success. The first time I made them, I used dulce de leche from a can. They were easy to make, they tasted delicious and the pictures turned out great. 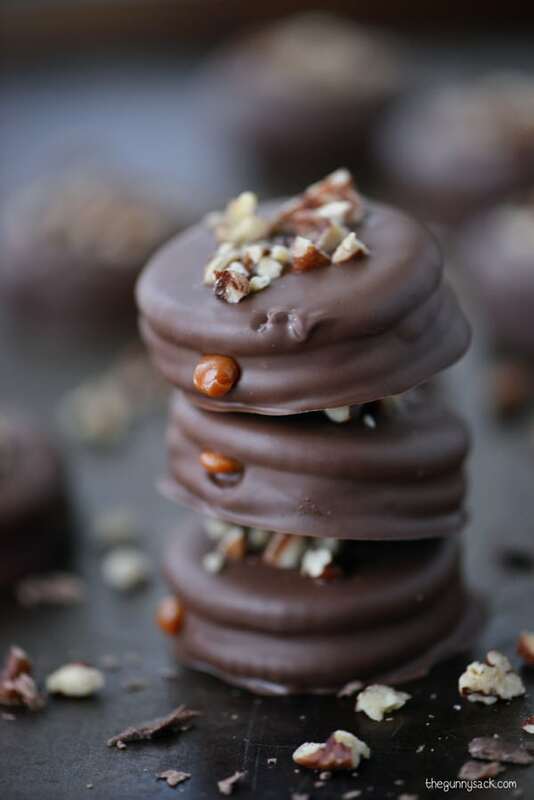 And I succeeded, so today I am finally sharing my recipe for Turtle Sandwich Cookies using Ritz crackers. To make about 1/4 cup of caramel sauce, use 12 caramels (I used Kraft Caramels) and 2 teaspoons of whipping cream. Microwave for 30 seconds and then stir. Microwave for an additional 15 seconds and stir. Continue heating and stirring at 15-second intervals until smooth. Watch carefully so that the caramel sauce doesn’t boil over or burn. Before putting the caramel sauce on the crackers, you need to cool and thicken. So, allow the sauce to cool at room temperature for about 8-10 minutes, stirring often to keep it smooth. Plop about 1 teaspoon of the caramel in the center of a Ritz cracker. This made enough for me to make 11 turtle sandwich cookies. Top it with another cracker and squish the caramel so that it spreads out. Place the caramel sandwiches in the fridge for an hour for the caramel to harden. 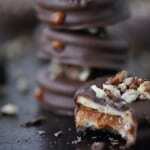 Melt chocolate almond bark or chocolate candy coating in the microwave and dip the sandwich cookies in the chocolate. Place them on a silicone mat or a piece of parchment paper. Sprinkle with chopped pecans. You might get a little bit of beautiful, delicious, oozing caramel on some of the sandwiches! 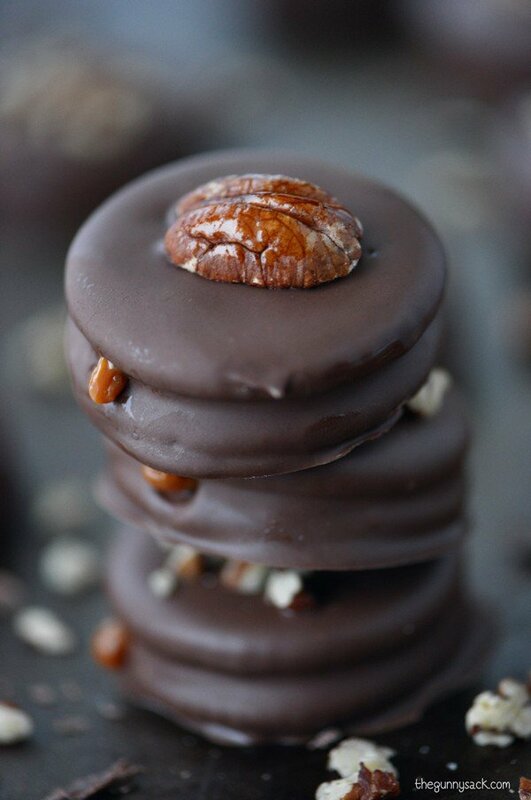 Another option is to top each turtle cookie with a pecan half. 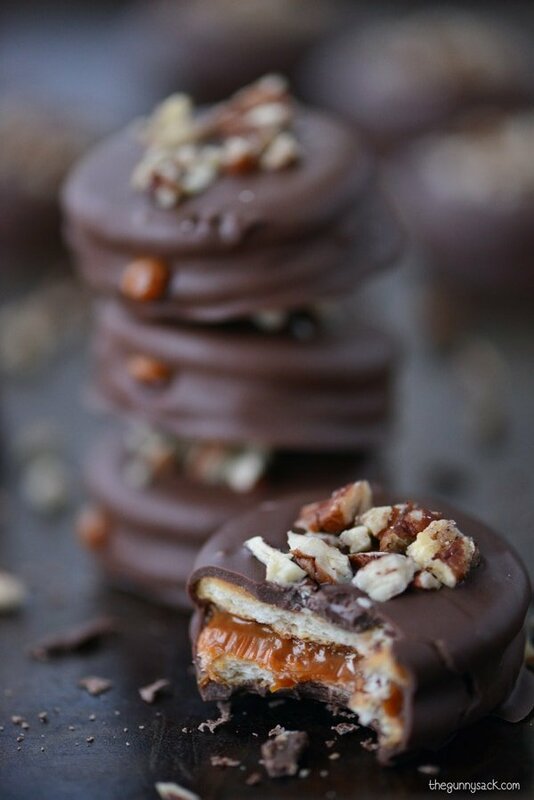 If you like sweet and salty treats, go ahead and sprinkle a little sea salt on the caramel before adding the top cracker, or you could even sprinkle it on when adding the chopped pecans. Easy Pretzel Turtles: With only THREE ingredients, Pretzel Turtles are so easy to make! They can be made as a quick treat or given as gifts during the holidays. Slow Cooker Chocolate Turtle Bread Pudding: Slow Cooker Chocolate Turtle Bread Pudding is a warm, comforting dessert with chocolate, caramel, and pecans. It’s a crockpot recipe that everyone will love! Easy Turtle Cheesecake: Easy turtle cheesecake recipe made from a ready-made cheesecake. Top it with chocolate, caramel, pecans, and whipped cream. Place caramels and whipping cream in a microwave safe bowl. Microwave for 30 seconds and then stir. Microwave for an additional 15 seconds and stir. Continue heating and stirring at 15-second intervals until smooth. Watch carefully so that the caramel sauce doesn’t boil over or burn. Allow the sauce to cool and thicken, at room temperature, for about 8-10 minutes, stirring often to keep it smooth. Plop about 1 teaspoon of the caramel in the center of 11 Ritz crackers. Top each with another cracker and squish the caramel so that it spreads out. Place the caramel sandwiches in the fridge for an hour for the caramel to harden. Melt chocolate almond bark in the microwave and dip the sandwich cookies in the chocolate. 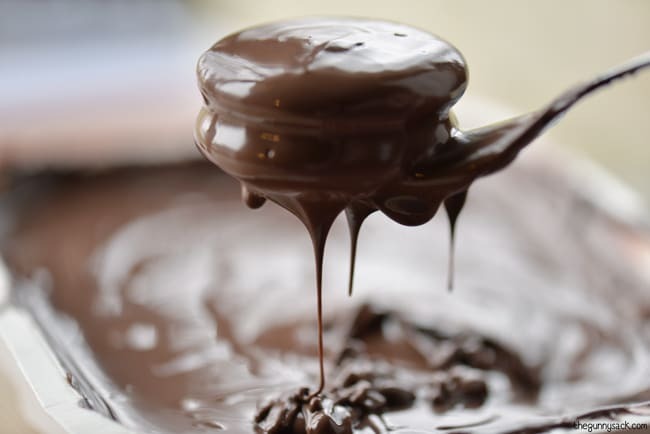 Allow the chocolate to set and harden at room temperature. Optional: Use whole pecans instead of chopped pecans. Sprinkle with sea salt, if desired. Can I make theses ahead and freeze them for the holidays. I’ve never tried freezing them. I’m not sure how well the crackers and the chocolate coating would hold up. Can I substitute chocolate chips for bark? Yes, but you might have to use some shortening to thin the chocolate. I had the same question!! I think these would taste much better with real chocolate! Has anyone made these with chocolate chips? I made these the turtle cookies for my annual cookie exchange, they where the best. Fantastic! I’m happy to hear they were a success! How long do these last in the fridge? A week? I ought to say that I used traders joes dulce de leche right out of the jar. I also melted some vahlrona chocolate and butter together for the coating. Then, I refrigerated them for about an hour. Just spectacular! I can’t thank you enough for this recipe! A chocolate lovers dream! Love it! has anyone doubled or tripled this recipe? any problems doing that? What an excellent combination of salty and sweet. Now I wish I had time to make these (I’ve definitely made too many sweets already this year- so much for losing that last 10 lbs of baby weight!(. These are total awesomesauce!! 🙂 I want to devour all of them! I bet the sweet salty combo is amazing!! What a great idea! These look so good and a real crowd pleaser! These look SO good. I must make them, and soon! GENIUS idea! Love anything between a Ritz cracker… especially caramel! I feel like we’re on the same wave length! I made something similar, crackers dipped in chocolate and stuffed with peanut butter cream cheese yesterday! 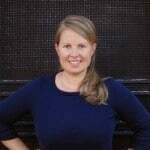 I adore everything you make Tonia! These are darling! They would make perfect gifts! I have been having the same problem with #alltheholidayfails! So annoying! But these cookies look worth it – yum! Pinned! These look incredible, love that caramel center. WOW! Tonia, these look amazing! I love the sweet, salty, caramel, chocolate combo! pinned! I’ve had tons of recipe fails lately too!! These look amazing!! These look incredible! Love the gooey caramel center! I spotted these this morning and had to come over and visit. Oh my goodness. These cookies look divine. Pinning and sharing this wonderful recipe! I doubt these would last at any holiday table for more than a few minutes. They scream delicious! OH-MY-GOODNESS those look amazing. Pinning, sharing and drooling!